A Year of Being Here: Rita Dove: "Dawn Revisited"
"Dawn Revisited" by Rita Dove, from On the Bus with Rosa Parks: Poems. © W. W. Norton & Company, 2000. 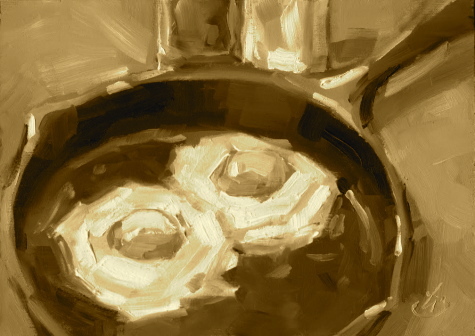 Image credit: "Eggs in Skillet," oil painting by Tom Brown (originally color).